What is life without modern technology? Computing helps make social and corporate life easier. 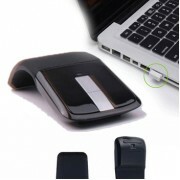 Work can be completed more efficiently because of accuracy and speed brought about by such smart gadgets. GbanjoDeals brings you a wide range of accessories from computers and tablets to mobile phones, memory cards, a modem or router to make sure your office networking runs smoothly and provides organization. A computer plays a major role in keeping our office running, the same can be said about our personal lives. With laptops, tablets and mobile phones, the face of information technology is changing by becoming more user-friendly and keeping you in touch with the rest of the world and your business while on the go. GbanjoDeals offers the possibility of buying various types of backpack laptops bag and all other computer accessories online in Nigeria at affordable prices. PRODUCT DESCRIPTIONErgoStand Basic - a budget-frie..
A folding laptop table is a great companion for hi..
OverviewThis reliable LaserJet will meet both your.. The Wireless Keyboard and mouse set from i-concept..
iPazzPort KP-810-21 - 2.4GHz Mini Wireless Q..
Operating System: WINDOWS 8.1System Architecture: ..
**Intel Pentium N3530 processor 2.4GHz (up to 2.58.. Laptop Notebook Cooling Pad equipped w/ 3 Fans com..
Samsung SE-208AB/TSBS 8X Slim DVD+/-RW USB Externa..
Hardware FeaturesStandards 3GPP, IEEE 802.11b/g/nI..
TRONSMART MEGA BLUETOOTH PORTABLE SPEAKER, BORN FO..
V18 - 4000DPI Gaming Wired Mouse Optical 9 K..
ZELOTES T - 60 7200DPI Professional USB Wired Opti.. Weight: about 85 gramsUnit: packagePackage Size: 1..